Solah means sixteen and Shringar means makeup or adornments. 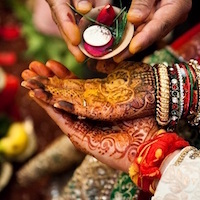 So, Solah shringar is the 16 steps that women follow for their beautification from head to toe at the time of their wedding, some religious ceremony or festival. 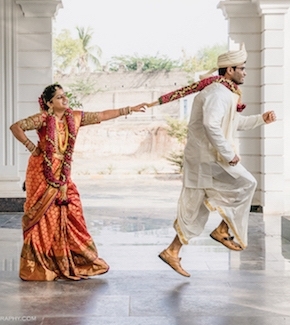 They have a sentimental value attached to them as they help a woman transcend into a beautiful bliss of being married in India. 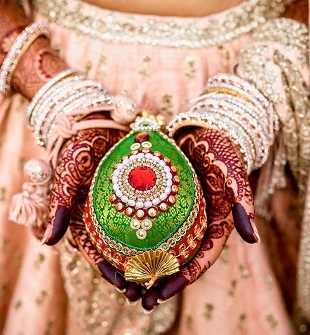 It is believed that these adornments increase the beauty of women by giving them a celestial beauty and divinity. According to Hindu beliefs, solah shringar is related to the 16 phases of the moon. These phases are believed to be connected to the menstrual cycle. So, solah shringar helps in negating the negative effects of woman’s menstrual cycle. The ceremony starts with a pre-shringar bath. Firstly, hair is oiled properly and then they are washed with the help of amla, reetha, shikakai, milk and water. After that, hair is dried and fragranced with the help of incense sticks. Dried hair is then styled into braids and then tied into a bun. Then a turmeric, sandalwood, milk and honey paste is applied all over the body to give a natural radiance. The women look graceful and with a natural glow after taking the bath. Here, we have brought you with a small video telling all the 16 shringars for you people.